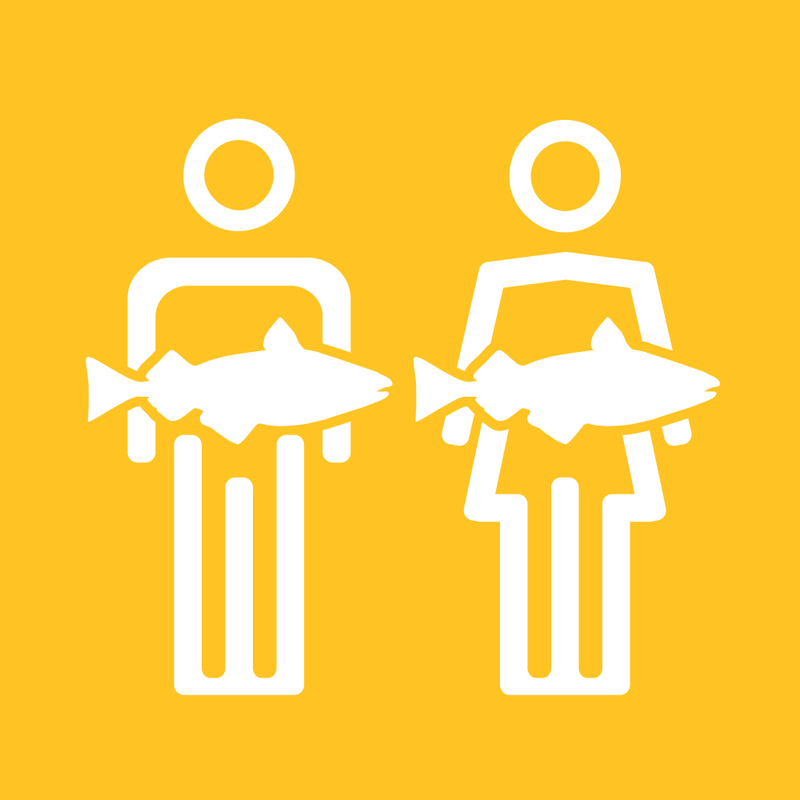 WorldFish’s sustainable aquaculture research focuses on enhancing production efficiency and sustainability via the use of selectively bred, high-health fish reared in gender-inclusive production systems with low environmental footprints. WorldFish work to strengthen the technological foundations of aquaculture made major advances in 2017, with the release of new generations of improved fish lines and the use of genomic selection tools to introduce disease-resistance and feed-efficiency traits. WorldFish and its partners have been breeding genetically improved farmed tilapia (GIFT) since the late 1980s. The latest GIFT generation shows that selective breeding for increased growth is still delivering gains of about 10 percent per generation. Furthermore, a WorldFish survey conducted in 2017 of 83 farms in four major tilapia-producing districts showed that the Abbassa strain had higher growth and required 13.2 percent less feed than another commercial strain to achieve the same production. As a result, the Abbassa strain generated significantly higher profits (47.8 percent ) per feddan (0.42 ha) compared to the other strain. These improved strains of tilapia are spreading rapidly. More than 70 percent of tilapia production in the Philippines comes from GIFT or GIFT-derived stock, as does around 50 percent in Thailand and 20 percent in Vietnam. Work on carp species is at an earlier stage but is hoping for similar impacts. In 2017, the project established two breeding programs in Bangladesh for catla and silver carp—the first in the world—and harvested the first improved generation of rohu, which, like tilapia, showed a growth gain of around 10 percent. Yet faster growth alone will not deliver sustainable fish farms. As a result, the project is turning its attention to other characters and factors that influence farmers’ fish enterprises such as disease resistance and feed efficiency. Based on a roadmap created with global experts at a WorldFish-hosted fish breeding workshop on 23–24 May 2017 in Edinburgh, UK, the research is using genomic selection tools to introduce these characteristics into its improved tilapia strains. Genomic selection has enabled a step change in the rate of genetic improvement of terrestrial livestock and has the potential to do the same in fish. Moreover, incorporating new traits in the GIFT breeding program will help fish farmers prepare for future challenges, such as climate change. This will particularly benefit farmers in Africa and Asia, where tilapia is critical for food security but where there is often limited access to improved fish breeds suited to local conditions. Selective breeding of tilapia and carp populations and new tools to support this is a key part of FISH and supports WorldFish efforts to increase the productivity of small-scale aquaculture to meet growing global demand for fish. By supporting small-scale fish farmers in Myanmar, WorldFish is enabling the fast-growing aquaculture sector to create jobs and boost the health and incomes of the poor. Myanmar’s fast-growing aquaculture sector has huge potential to improve the lives of rural households, which make up 70 percent of the population and depend largely on low-yielding agriculture for their livelihoods. Research by the Livelihood and Food Security Trust Fund (LIFT) shows that job creation potential in aquaculture is about twice as strong per acre as for paddy farming. It can also generate higher incomes than almost any other form of agriculture. As incomes rise in Myanmar, consumption of fish—a nutritious source of micronutrients and protein—will rise, particularly consumption of farmed fish. However, so far many of the country’s approximately 200,000 small-scale fish farmers have missed out on these benefits. This is often due to limited technical knowledge of aquaculture and poor access to quality fish seed and feed, which results in low yields. In addition, government regulations prevent the conversion of paddy land to aquaculture, and insecure land tenure dissuades households from renting privately owned land to build more fishponds. Developing small-scale aquaculture and realizing the sector’s potential is the focus of the WorldFish-led, LIFT-funded project Promoting the Sustainable Growth of Aquaculture in Myanmar (MYFC) (2015–2018). Implemented through FISH in collaboration with four government and NGO partners, the project focuses on the Ayeyarwady Delta and the Central Dry Zone, where the majority of Myanmar’s subsistence fish farms are located. To boost farmer’s technical knowledge, the project provides training in good aquaculture practices, with topics also covering nursery management, nutrition, gender, dike cropping and business skills. For 36-year-old farmer Hnin Nu Moe, who was previously unable to earn money from farming fish in her family’s 975-m2 pond, the training had a huge impact. After stocking her pond with rohu and grass carp seed provided by the project, Hnin applied the techniques she had learned. This included regular feeding, exchanging water, applying fertilizer and testing the water quality. Six months after stocking, she harvested 219 kg of fish. After saving some for household consumption, she sold the rest and made 550,000 kyat (USD 400) on an investment of 50,000 kyat (USD 36). This income enabled her to buy a cow—a purchase she once could not afford. “If we carefully follow all the techniques and knowledge we gained from the project, we will be successful fish farmers even if we face lots of challenges,” she says. Since 2016, more than 1200 farmers out of the target 3000 farmers have received training and inputs such as seed, feed and fertilizer. Trained farmers report that they are now successfully managing their own fishponds. This has led to a 30 percent higher consumption of fish and a 40 percent increase in household income among beneficiary households. Good fish seed is needed to achieve a good fish harvest. Yet small-scale farmers often use poor-quality fish seed from the wild or buy seed from government or private hatcheries, which often offer low productivity because of poor management of the genetic resource. 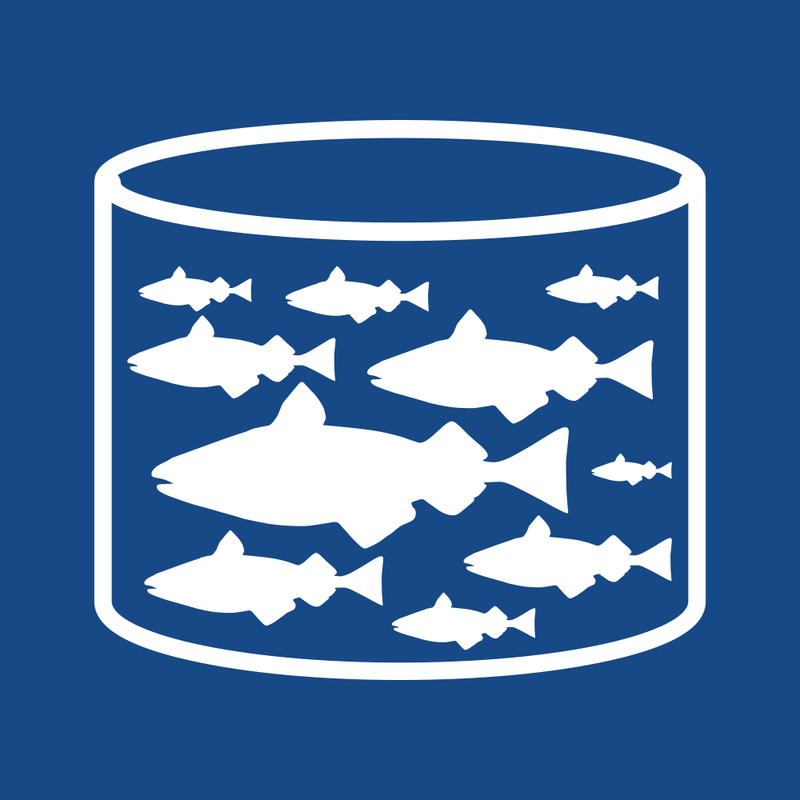 To improve seed access, WorldFish began promoting improved management practices at fish hatcheries run by the Department of Fisheries in 2017. The aim is to produce quality rohu carp seed, which accounts for 70 percent of all farmed fish production in Myanmar, as well as seed for silver barb. The breeding initiative also includes tilapia and climbing perch, which are currently produced in small amounts but for which there is strong local demand and the potential to earn higher returns. For tilapia, the project will focus on GIFT, an improved strain of Nile tilapia developed by WorldFish that grows more than 30 percent faster and has a higher survival rate than other strains (see page 8). In parallel, the project has established 30 fish nurseries in 30 villages, providing rural farmers with local access to affordable quality seed. Since 2016, the project has distributed over 450,000 seed to more than 1000 farmers in 152 villages. By 2018, it aims to have distributed around 1 million seed to more than 2500 farmers. Aquaculture has grown rapidly over the past 10 years, mostly because of large enterprises, and now accounts for 22 percent of total fish production. With no sign of this growth slowing, efforts by MYFC to engage smallholders in aquaculture will be critical for increasing incomes and contributing to food and nutrition security for the poor in Myanmar.